The school holidays can be a great way to spend time with your children if you are not working. Entertaining your children, especially throughout the long summer holidays can be a challenge though, particularly if you don’t have a lot of money to spare. Additionally, if you are working the costs of childcare can really add up during the school holidays. Take it in turns: Children want to see their friends and play together in the holidays. However, it’s likely that the idea of a houseful of screaming kids for the whole holiday doesn’t fill you full of joy. Get together with some other parents and take it in turns to have children round to play together throughout the holidays. It’s also a good chance to socialise with other parents. Low-cost days out: There are plenty of things you can do out and about without spending a lot of money. 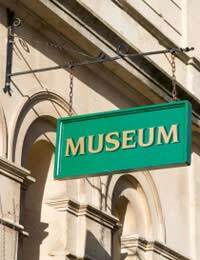 Museums are often free to enter and it doesn’t get much cheaper than a day in the park or at the beach. Projects: You’ll no doubt have to organise some sort of activities for your children to keep them occupied during the school holidays but you should also encourage them to pursue interests and projects of their own. This could be taking up a new hobby, such as drawing, practicing their dancing or football or learning to sew. Look out for vouchers: If you want to treat your children to a day out somewhere like a theme park or a water park during the school holidays, it’s possible to do so fairly cheaply sometimes. Look out for discount vouchers and tokens in newspapers and on websites. It is likely that you will want to take annual leave from work to spend some time with your children during the school holidays. However, you will almost certainly want to retain some leave for the rest of the year, meaning if you work full-time it’s likely that you’ll have to find childcare. If you’re responsible for one or more children under 16, you may be entitled to Child Tax Credit. Child Tax Credit is means-tested. The amount you could be eligible for is based on your household income and the number of children that you have. If your family is on a low income you may be able to receive a top-up in the form of Working Tax Credit. This money could be used towards the cost of childcare in the school holidays. Some employers offer childcare vouchers to help pay towards employees' childcare costs. The value of the vouchers is taken from parents’ wages. Childcare vouchers are both tax and National Insurance free. Child Benefit is not means-tested and is paid to the parents of under-16s (and some over 16s depending on their circumstances).